The most powerful compact sectional machine ever with a ¾ HP motor and cable that can spin up to 700 RPM, it is also 30 percent lighter than the RIDGID K-1500 Sectional Machine. Tool-less clutch adjustment lets you quickly switch cable sizes, and infield clutch serviceability allows you to make necessary repairs on-the-job. Enhanced cleanliness with fluid reservoir for later draining and enclosed cable feeder and carrier. Plumbers who know their trade understand that there is always a trade-off between sectional machine models. 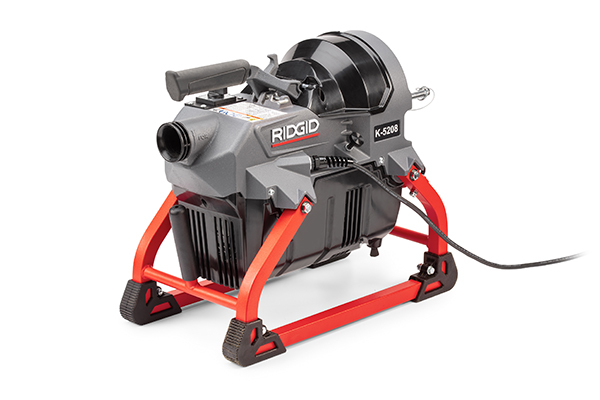 Now they don’t have to sacrifice power for portability with the new RIDGID® K-5208 Sectional Machine. It’s the most powerful, most compact, easiest-to-service and cleanest drain cleaner on the market. 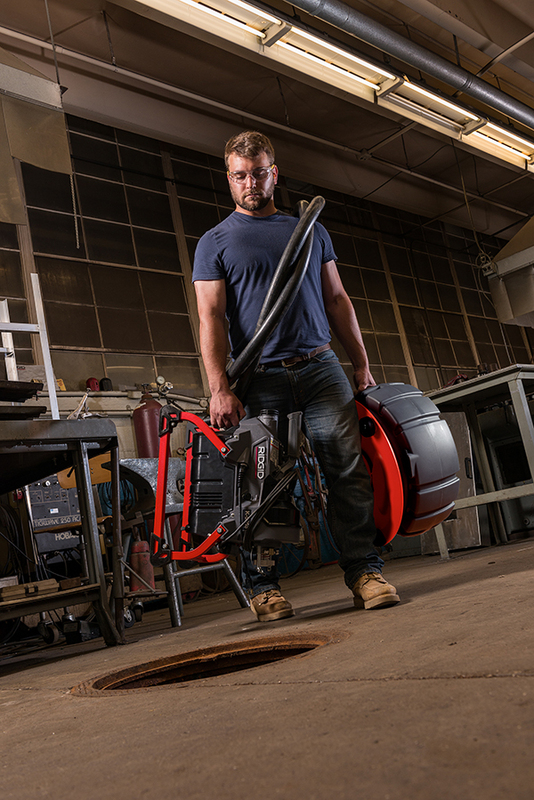 Weighing 30 percent less than the RIDGID K-1500 Sectional Machine, the K-5208 is purpose-built to cut through the toughest roots with a ¾ HP motor and cable that can spin up to 700 RPM. 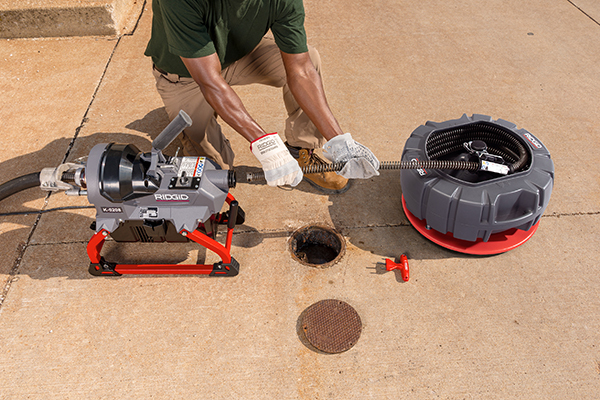 Designed for drains 2” to 8” in diameter, it features a tool-less clutch adjustment to quickly switch between 7/8” to 1 ¼” cable sizes. It comes with a new Trident Sectional Cable Decoupler for disconnecting cables efficiently and cable feeder with guide tube for easy loading and unloading into an enclosed cable carrier. Infield clutch serviceability minimizes downtime, while a carrying handle allows for easy transport from truck to jobsite. Designed with high-strength square steel tubing and rubber feet for enhanced stability, the K-5208 includes an innovative fluid management system that incorporates a reservoir to catch fluid for later draining. The enclosed cable carrier and cable feeder also enhance cleanliness by reducing exposure of the cables on the jobsite. The K-5208 and other RIDGID drain cleaners are built at the RIDGID plant in Orange, Virginia and include the RIDGID Lifetime Warranty. To purchase or learn more about the K-5208 contact your local distributor, visit RIDGID.com/K5208, or call toll-free: 1-800-769-7743.